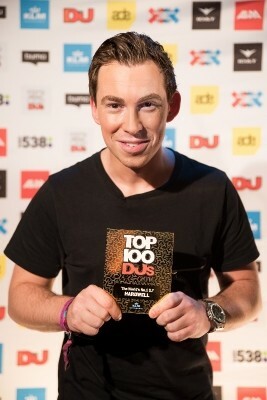 On Saturday, Dutchman Hardwell was crowned World’s #1 DJ in the 2014 edition of DJ Mag’s Top 100 DJs Poll for a second consecutive year. Hardwell made history in the 2013 edition of the poll by claiming the top spot for the first time in his career and becoming the youngest ever winner at just 25 years of age. Now after a 12-month period of big tracks and global tours, he’s succeeded in holding on to the title of the World’s #1 DJ for a second term. Over the coming year Hardwell is set to deliver a series of projects with the announcement of his I AM HARDWELL - United We Are world tour that kicks off with a show at the Amsterdam’s Ziggo Dome arena on 24 January, a run of releases penned from his label Revealed Recordings, including ‘Young Again’, which is out now. Add to that a series of exclusive club and festival shows to be announced in the coming weeks and months and the imminent arrival of his debut artist album ‘United We Are,’ which will be released on 23 January 2015.